The Mann Law Firm (Mohinder S. Mann and Gurinder S. Mann) of San Jose, California, along with attorney Bill Robins, received a jury verdict of $3.5 million in Fresno, California for the family of Amarjit Khunkhun. 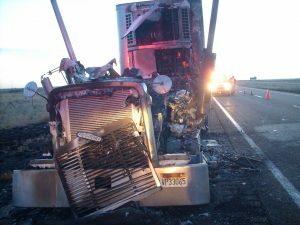 Mr. Khunkhun was a Sikh truck driver who died in March 2010 as a result of truck fire that occurred on I-40 West near San Jon, New Mexico. The complaint alleged that a poorly maintained semi-truck leaked transmission fluid and caused a fire underneath the cab of the truck that Khunkhun had been driving for only 150 miles. The truck was owned by Jaswinder Gill d/b/a GMG Trucking and operated by Avtar Gill of Fresno. The evidence presented by the the attorneys established that the trucking company and its co-owner/operator, Avtar Gill, also of Fresno, had violated federal regulations in their maintenance and inspection of the truck. Mr, Khunkhun was found burned to death in his truck cab. Mr. Khunkhun was found burned to death in the early morning hours of March 23, 2010 on a desolate stretch of Interstate 40 near San Jon, New Mexico. New Mexico fire officials conducted an incomplete investigation and incorrectly concluded that the fire had started within the cab. The New Mexico fire officials theorized that Mr. Khunkhun’s use of a Coleman stove may have caused the fire, but no stove or propane tanks were found during the investigation. Attorneys Mohinder S. Mann, Gurinder S. Mann, and Bill Robins, representing the family of Mr. Khunkhun, conducted their own CSI-like investigation after learning that the inspectors found no evidence to support their theory that the fire started within the cab. Mohinder S. Mann traveled to New Mexico and deposed each of the investigators to try to help the family find the true cause of the Mr. Khunkhun’s death. The attorneys retained an expert in fire origin and cause, who determined that the fire actually started underneath the cab and not inside the cab. 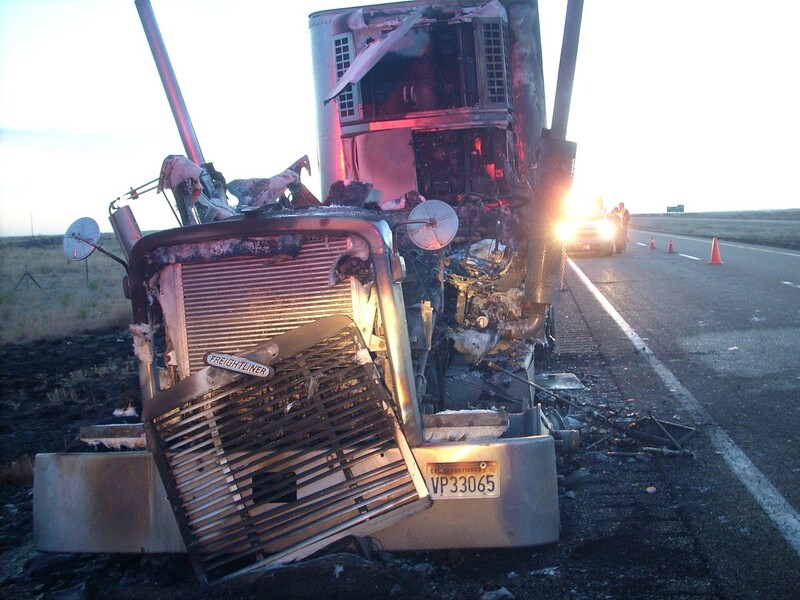 “Trucking fires and crashes are complex. The investigation required a team that has the knowledge and experience in protecting truckers and their families from the illegal and dangerous unsafe practices of trucking companies,” said Mohinder S. Mann. 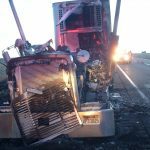 The Mann Law Firm firm also retained an expert in truck mechanics, who determined that the transmission showed severe damage as a result of fluid leaks in the transmission. Further scientific testing established that the leaking transmission fluid had vaporized into an ignitable cloud that cause the fire. The Mann Law Firm also established during discovery that the Defendants had been aware of a transmission leak, but failed to take appropriate steps to repair the truck before it was handed off to Mr. Khunkhun to drive. “The trucking industry’s safety rules protect the drivers and the public. The companies that violate those rules put everyone in danger. The Khunkhun family’s loss could have been prevented and we hope that in the future, companies take an initiative to prevent further harm,” said Gary S. Mann, co-counsel on the case. The investigation by the Plaintiffs’ attorneys over a four year period was instrumental in disproving the blame-the-victim defense. As a result, the jury found that the acts or omissions of the defendants were negligent and awarded a verdict for $3.5 million. “The Khunkhun family is grateful to the Jury in vindicating the driver, Amarjit Khunkhun and for holding the trucking company accountable for its actions,” said Gary S. Mann. The attorneys who represented Mr. Khunkhun included Bill Robins and Hector Longoria of Heard Robins Cloud, LLP along with Mohinder S. Mann and Gary S. Mann of the The Mann Law Firm.